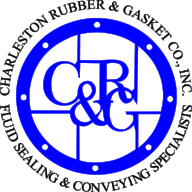 Please fill out this form and click submit to send the information directly to Charleston Rubber & Gasket's accounting team. Include business name, location, phone, fax and email please. TERMS AND CONDITIONS 1. Terms are Net 30 days, unless otherwise approved in writing. 2. No additional credit will be extended to past due accounts unless satisfactory arrangements are made with our credit department. 3. Account holder will be responsible for any and all collection or attorney fees necessary to collect payment of charges on this account. In completing below, I acknowledge, accept and agree to the above terms and conditions. I verify that all information provided on the credit application is true and correct. I authorize Charleston Rubber & Gasket to investigate the references provided as to substantiate our company’s financial responsibility. Thank you! We will review your application an contact to ASAP!